Sharp styling sets the Aston Martin Vanquish S apart. This is the new impressive Aston Martin Vanquish S with sharper styling, better handling and a boost to the engine’s power output. The latest addition to what has been an illustrious model line-up sees a natural evolution of the Vanquish to the S specification with greater attention paid to the car’s aerodynamics and chassis to deliver a scintillating performance and more intense driving thrills. An important part of this is the 6.0 litre V12 which has seen its power boosted from 573 PS to 600 PS with better throttle response. Aston Martin has also introduced a better breathing intake system with a larger inlet manifolds to boost the volume of air flowing around the engine when it’s running at high revs. In addition, to help control all of this power, the Aston Martin Vanquish S features a recalibration of its eight-speed automatic transmission for faster gearshifting and there’s more refinement at low speeds. Aston Martin says its Vanquish S will deliver a better level of precision and the engine’s response will be immediate. The new car also has a better suspension and spring rates with antiroll bars that have been re-tuned to help deliver a keener edge when the driver selects the sporting driving mode. One of the visual aspects that help set the Vanquish S apart is the new aerodynamic package which makes great use of exposed carbon fibre, a new rear diffuser and a revised front splitter helps deliver better reduction in frontal lift without affecting drag. Drivers also get a car with a striking set of new quad exhaust outlets and the Vanquish S has a more aggressive appearance from the sporting GT production model. Among the options available are new forged five-spoke wheels, a new painted graphics pack and carbon fibre bonnet louvres. 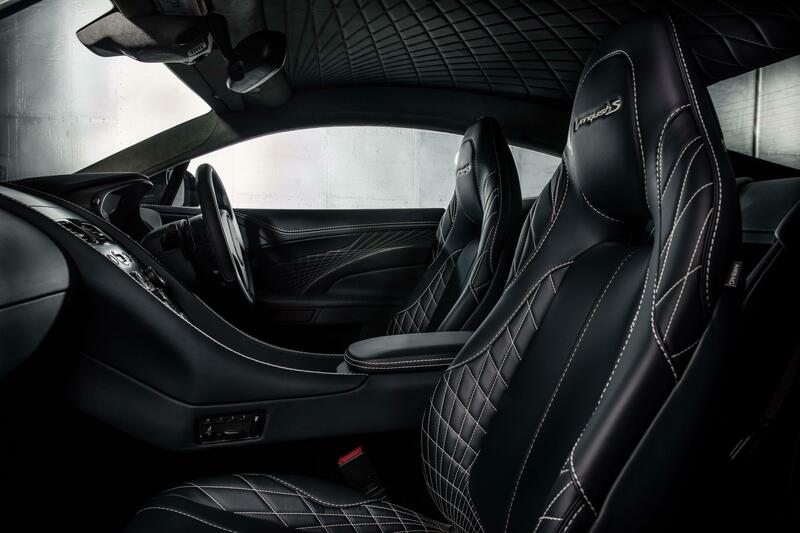 Inside the cabin, options include new quilted leather seats and new finishes and materials including a carbon fibre fascia panel. 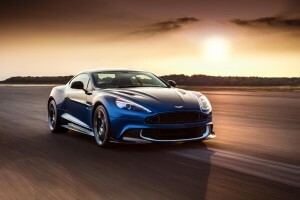 Aston Martin says the second generation of its Vanquish has delivered engineering advances including all-carbon fibre bodywork with the new car distinguishing itself from the firm’s new DB 11. Available in both Volante and Coupe variants, the Aston Martin Vanquish S prices start from £199,950 with deliveries starting in December to lucky customers. New Audi S8 is fastest ever! This entry was posted in Car Leasing, Cars, New Cars, Sports Car and tagged Vanquish S by Steve Lumley. Bookmark the permalink.